Want to learn Korean language and take the TESDA KLT and pass their language test for certification? 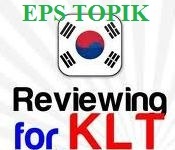 Here is a school where you can enroll for a review and possibly land on passing the said prestigious examination which has become a requirement by some Korean companies as well as in order to work in Korea. Syllabus, curriculum, hotline numbers and other contact details of the TESDA accredited school available below for your inquiry. Seedetails below for Caloocan and Cavite branches / schools. Our referral program rewards you for the privilege in studying at First Alliance 100% FREE..and enjoy the same privilege with your friends, family and co-students. If you know someone who is interested in studying KOREAN LANGUAGE, invite them to our facility to enroll. You will receive 100% FREE tuition for 5 referral that results in a successful enrollment. There is no limit to the number of referrals. The more you refer, the more you stand to save – AND EARN so spread the word! And Be a Part of FIRST ALLIANCE FAMILY!!! At First Alliance you will always be FIRST!!! I want to study korean language and willing to work in korea soon.